1 3/4 cup Pearl Barley or any kind you can find ( I used Manischewitz egg noodles in a toasted barley shape) it doesn’t have to be toasted it can just be regular barley shape noodles. I love to use this product , it’s usually found in kosher section. i use a very little bit of vegetable oil ( maybe 1 tablespoon) and saute onions, then mushrooms till cooked down. i salt and pepper generously here. i remove the mushroom/onion mixture from saute pan, wipe the pan clean with a paper towel . melt butter or margarine in pan, brown the barley for about 4 – 5 minutes, move it around as you brown it. 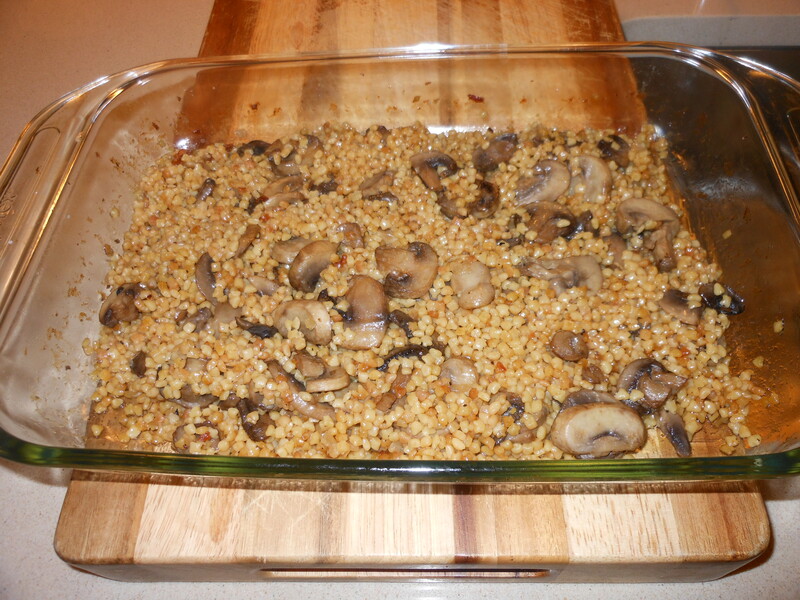 in the meantime transfer mushroom/ onion mixture to a 9 x 13 baking dish (spray with pam) when barley is browned place in dish with mushrooms and onions and mix well. add 2 cups of chicken broth. cover with aluminum foil, and bake in oven covered at 350 degrees for app. 45 minutes. remove from oven, and add a little broth, depending on how dry it is, i would say i added about 1/2 cup , you may need to add more, add the 1/2 cup and mix well and see if you need more, not too watery, keep it dryer. cover, and i put it back in oven for 10 to 15 minutes. taste for salt and pepper. and there it is. very delicious. this is an old recipe of mine that I’ve played around with and have made over and over through the years. It is so very delicious and is so perfect for Rosh Hashana and it makes a perfect side dish anytime of the year. It is not too difficult to make , takes a little playing around but pretty easy . 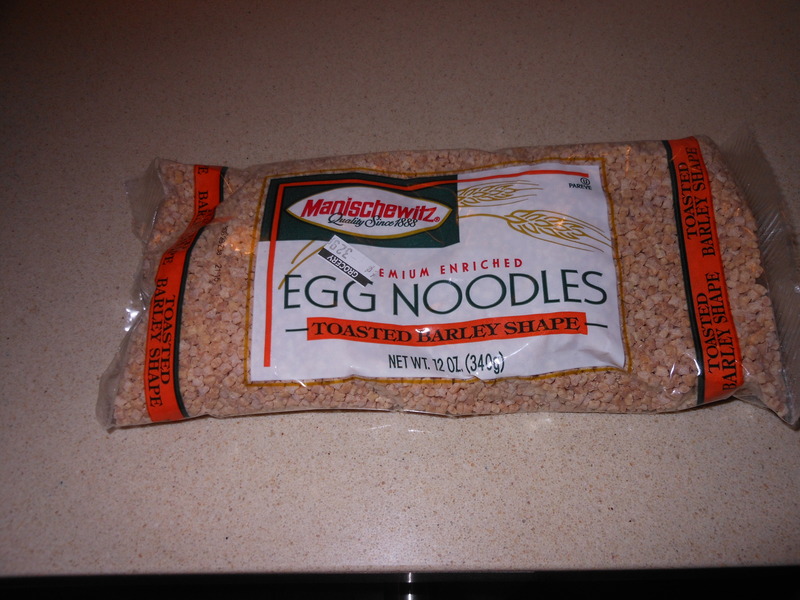 I use Manischewitz egg noodles in a toasted barley shape (which is really a pasta) you can use pearl barley which is available in almost every supermarket out there. i have to say this product worked very well. Not exactly Mushroom and Barley?? but barley shape pasta is the way we roll in our house.